If you were to survey your past clients, what percentage would tell you that they’ve printed the beautiful images that you’ve created for them? How many of your images are now hanging on their walls, being enjoyed everyday? 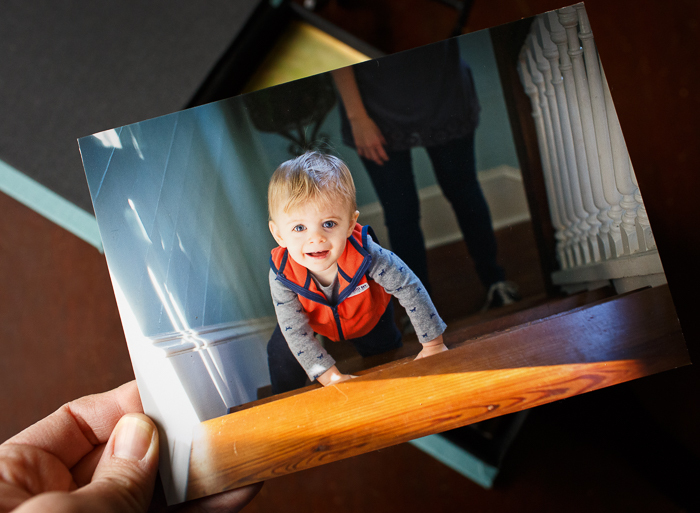 As digital photography has become the norm, and as the majority of photographers provide digital-only services, fewer clients have come to expect a printed product from their photographer. 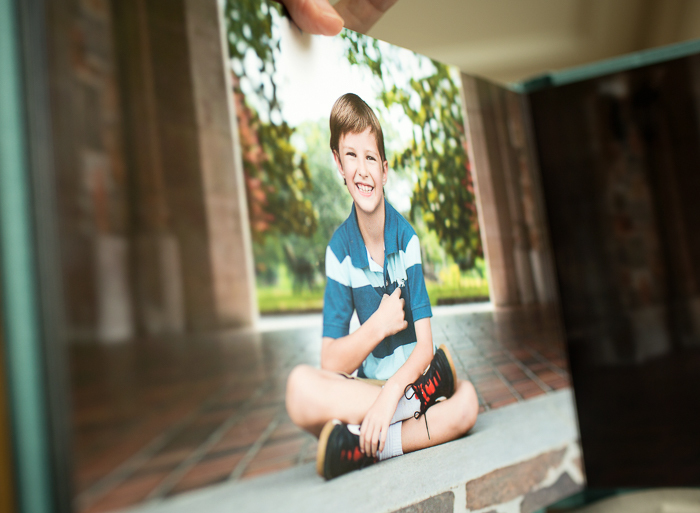 Many clients prefer it this way, knowing that they will have the ability to print their photos in whatever quantity and size they like. But how many of those digital photos are actually being printed by our clients? The answer is most likely a very small percentage. 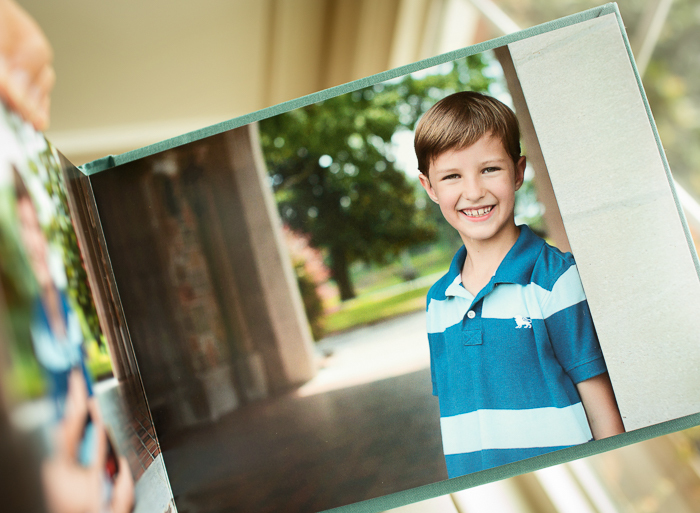 Time and Motivation – Clients believe they will get their photos printed. The reality is that life gets in the way. 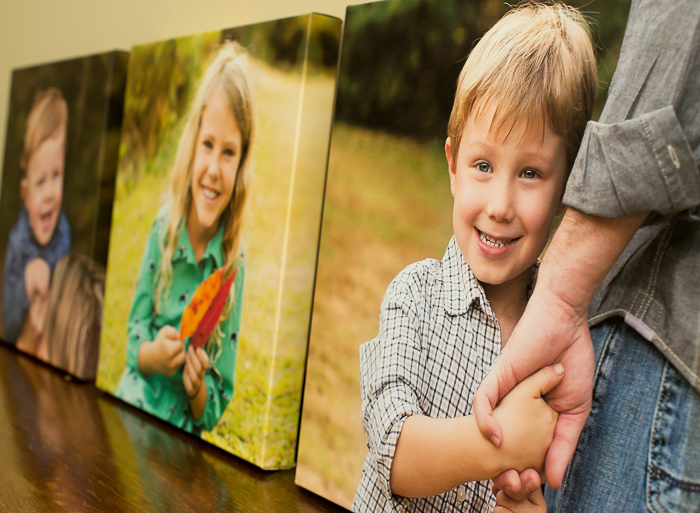 People with children are very busy and the time it takes to focus on making those hard decisions about what pictures to print, in what size, and hang where, can feel overwhelming. It falls to the bottom of the priority list and, in most cases, it just never happens. 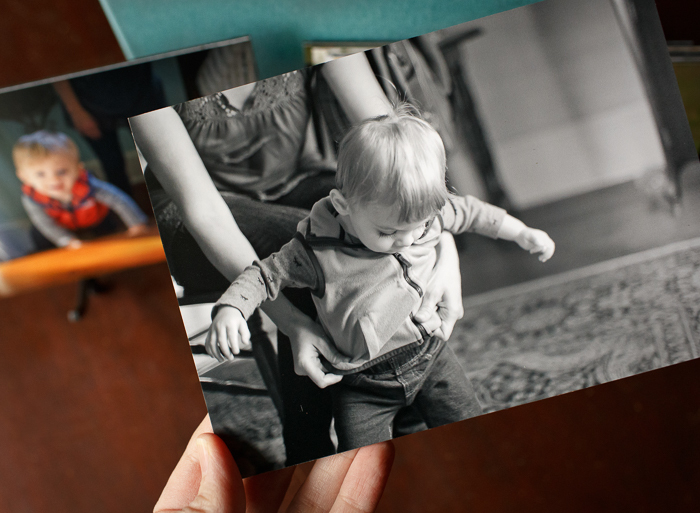 Poor Quality Prints – Clients don’t have access to, or knowledge of, where and how to get high quality prints. Often they don’t even realize there is a difference between print labs. They just assume that what they see on their computer is what they will receive. This is less than ideal for both the client and the photographer because not only do clients end up with poor quality prints with strange colors that will fade over time, but these then become a representation of our work. Digital Files Have a Lifespan – Digital files can become corrupted and refuse to open. CDs can be scratched. Thumb drives fail. Clients may forget to backup their photos and may lose them when their computer dies. These are all real concerns with digital files. But the biggest issue long term is what is known as Digital Decay. Technology changes over time and rapidly becomes obsolete. The most current example of this is that CD drives are no longer a standard feature in personal computers. And then there was the floppy disk … does anyone remember the floppy disk? Is there even a computer today, that the average person would have access to, that could read the contents of a floppy disk? If our clients are not diligent about keeping their files backed up, and keeping up with changes in technology, their digital images will become obsolete in the future. Files can be stored on the “cloud” but what if the cloud storage company goes out of business? What if the monthly subscription fee doesn’t get paid? Over time the expense of keeping files backed up can meet or exceed the price of having them printed and all the while they are not being seen or enjoyed beyond a fleeting moment on social media or a holiday card that gets tossed. Digital files are not maintenance free and without active upkeep they will simply disappear over time. Even though those disks and flash drives seem to make our clients happy, we are doing our clients a disservice if we don’t create finished products for them – high quality printed photos that will stand the test of time. As photographers, it’s our job to educate our clients on the importance of choosing professional quality prints. It is our job to show them what their images can become, to turn their photos into works of art that will last and be enjoyed for generations to come. Prints matter. Show your products in person. Order samples of the products you want to sell and hold an in person pre-session consultation where your clients have the opportunity to see, touch and hold your products. Bring samples to the Reveal Night when your clients see their images for the first time. The quality of the products will speak for themselves and they will want to purchase your art. Create incentives for purchasing printed products. You can use digital images to do this. For example, only offer full resolution digital images in collections with printed products such as albums, canvases and images boxes. This way clients are ensured the best of both worlds. Another method is to make sure that digital images are the most expensive item on your pricing menu. Or, offer digital images only after a certain amount has been purchased in printed items. Selling prints will increase your profitability. By pairing digital images in collections with printed products, I have increased my average sale by 3 to 4 times! Why would a client pay more for a disc of digital images? But they certainly will pay more for a 20×30 canvas, or an album, or a set of mounted prints. Selling prints works and it’s smart business! There are clients out there who value the quality I offer and getting paid what I’m worth while creating art that will last is a feeling like none other. To produce high quality prints, we must follow best practices for processing and exporting images. Choose a reputable professional lab and order a set of test prints. Compare the prints with your computer monitor for a match in color, brightness and contrast. 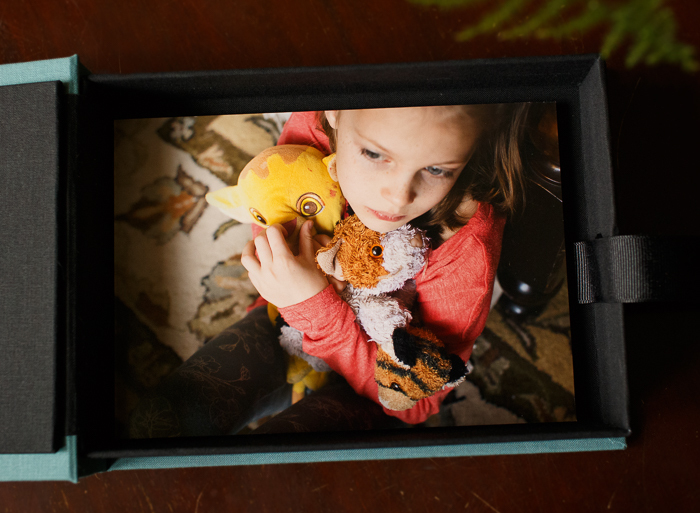 If you have never printed an edited photo, you may be surprised at the results. It may be necessary to calibrate your monitor in order to achieve a match between your screen and your lab’s prints. My calibration device is the X-Rite i1Display Pro. Edit your photos in consistent lighting. I have 6000K bulbs installed in the office where I edit and the window is covered with a light-blocking curtain. This helps ensure that the light around my computer is consistent. Save sharpening for the very end of your photo editing process. 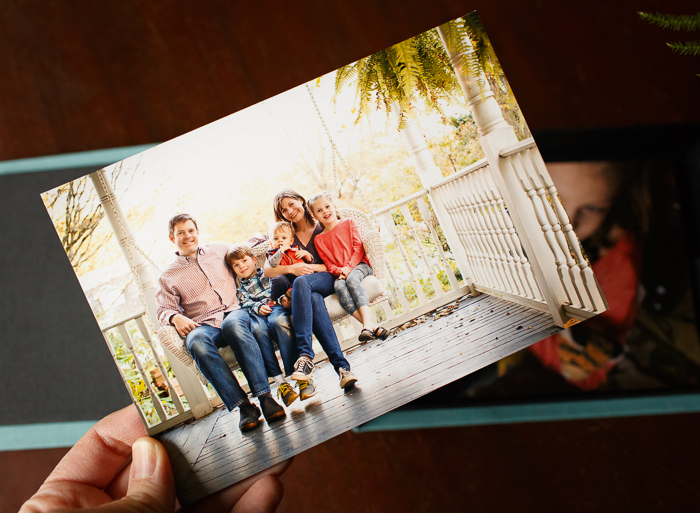 Crop your images to the desired print size, then sharpen appropriately. This practice has made a tremendous difference in the quality of my prints. You can learn more about this HERE and HERE. My professional lab is White House Custom Color. I get amazing customer service and consistent quality and color in all my printing from WHCC. 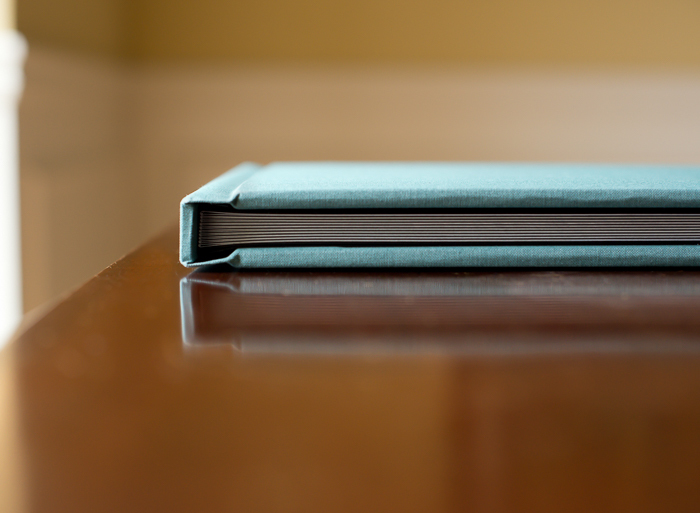 My favorite WHCC products are their press printed albums, gallery wrap canvas, styrene mounted prints and image boxes. My clients love them, too! According to WHCC, their photos, when cared for properly, are guaranteed to last 100 years. Wow! That’s the quality I want for my clients! I must say that there is nothing like seeing my work in print, and there is nothing like wrapping up a breathtaking album or image box for my clients and seeing their joy when they open it. They are always thrilled, always overjoyed. WHCC has never disappointed me. In a sea of photographers selling only digital images, offering printed products is an important strategy for standing out. It can set you apart as a professional. Changing the way we think about digital files has the power to elevate our industry. We should think of digital files as unfinished products, as images that aren’t complete until they are brought to life on paper. Let’s ensure that our clients have cherished images to enjoy for years. Let’s decorate their walls. 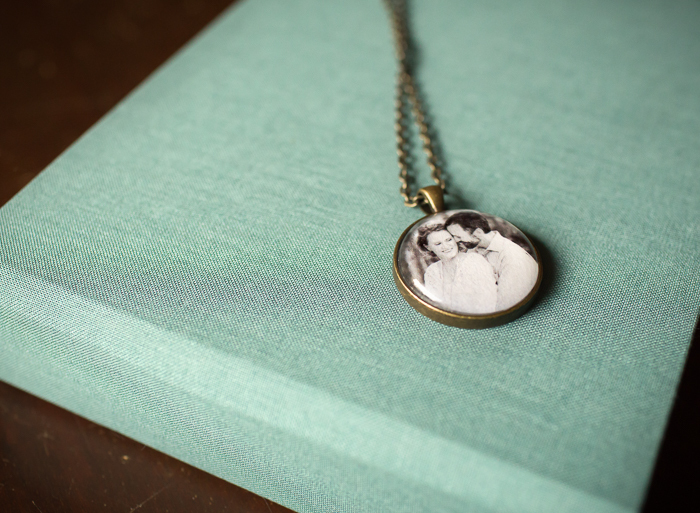 Let’s give them tangible memories to pass down to their children. 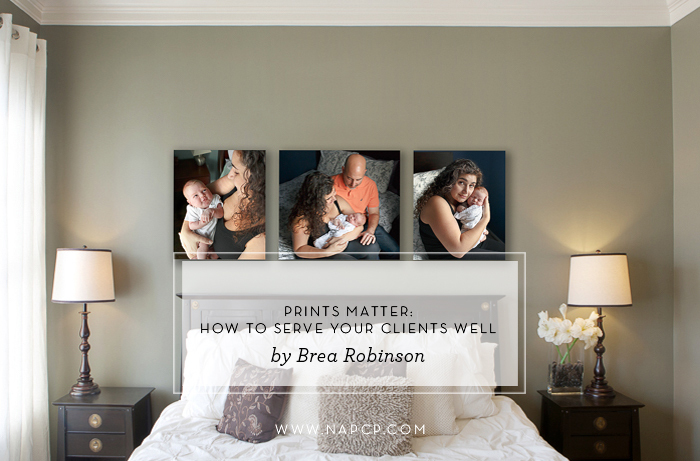 Brea Robinson is meticulous, even a perfectionist when it comes to her work. She believes in quality, in attention to detail, and in the incalculable value of tangibly printed images. Brea wants her work to stand the test of time. And she loves giving her clients something unique, like the photo/video fusion slideshows she offers with her lifestyle sessions. Finally, Brea longs for her work to make a difference in the world, and to contribute to the flourishing of the city where she lives. A percentage of the proceeds from her business are donated annually to fight the commercial exploitation and trafficking of children in Atlanta. For more from Brea, and for booking inquiries, visit Brea Robinson Photography. Brea can also be found on Facebook, and Instagram.